Michigan, boasting the longest freshwater coastline in the world, has 64,980 inland lakes and ponds and 11,000 lakes. Wherever you are in Michigan, you are less than six miles away from a natural body of water. The Grand Traverse County alone has 50 lakes. Big and small, glacial and man-made, some are inland and some are connected to Lake Michigan. Some are deep and others are shallow, with ancient cypress trunks rising from the waters. Ancient forests surround some, and others have huge dunes that tower over them. Bass Lake is a 344-acre glacial lake in the northwest region of Michigan in the western end of Grand Traverse County near Grawn and Traverse City. The lake reaches a maximum depth of 28 feet and boasts lovely sandy beaches, while soaring trees provide pleasant shady areas for visitors enjoying a weekend on the water. While the lake is great for all sorts of water sports like kayaking, canoeing, and waterskiing, it is also one of the more popular fishing lakes with the locals. Anglers come for rock bass, northern pike, and walleye, all of which thrive in the cold lake waters. The Michigan Department of Natural Resources has a boat ramp that offers public boat access for boaters coming to Bass Lake. While very close to populated areas, the lake has the feel of a wild, isolated place. 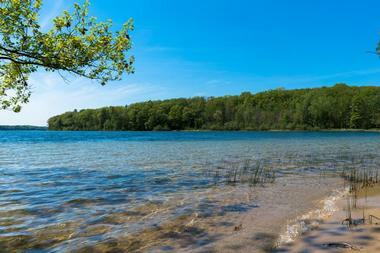 Big Glen Lake is a 4,871-acre lake near the charming little town of Glen Arbor. It reaches a maximum depth of 130 feet and has a pleasant sandy shoreline surrounded by rolling dunes and occasional small forests. The water is crystal clear and is justifiably nicknamed Inspiration Point. Big Glen Lake and its smaller cousin Little Glen Lake were connected to Lake Michigan during the last ice age, but the sandbar that was accumulated through ages separated the two over time. The lake is very popular with boaters and families looking for a nice day of swimming as well as with fishermen. It is rich with yellow perch, brown trout, smallmouth bass, lake trout, and northern pike. There is easy access to the lake from the public boat ramp on Little Glen Lake and several private marinas. The Glen Lakes are connected by a narrow channel that runs under the bridge that crosses the lakes. Just next to the lake is the Sleeping Bear Dunes National Lakeshore created in 1970 to protect the 110-foot tall dunes. The park stretches to Lake Michigan and also north and south of Manitou Islands. Burt Lake is one of several waterways that connect Lake Huron and Lake Michigan. Located about twenty miles from the Straits of Mackinac, this lovely lake is a popular tourist destination, and although it is heavily populated, it still contains quiet stretches of natural spaces. Most of them are protected, such as the Colonial Point Memorial Forest, the Chaboiganing Nature Preserve, and Seven Springs Nature Preserve. The most popular is Burt Lake State Park with more than 2,000 feet of sandy beach. 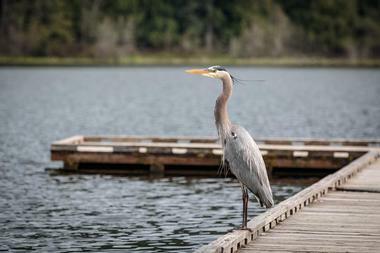 Maple Bay County Campground and Beach offer rustic camping and a nice swimming beach. The only village on the lake is Indian River, and its marina provides boat rentals and repairs, slips, and permanent facilities. Fishing is the most popular activity, with trophy walleye, sturgeon, brown and rainbow trout, rock bass, and many other fish species biting depending on the season. The Maple Bay area’s sheltered bay provides warm, pleasant shallows that are great for swimming and sailing. Clam Lake is an 18,473-acre lake snuggled between Torch Lake and Lake Bellaire, about 30 miles from Traverse City and 140 miles from Grand Rapids. 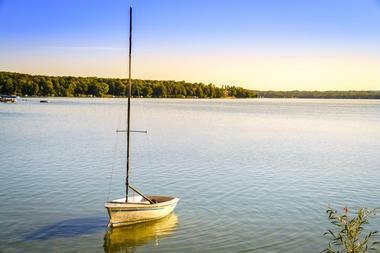 Clam Lake has become a popular destination for boating, fishing, skiing, and sightseeing. The lake’s maximum depth is 27 feet, and its average depth is 13 feet. Boaters, kayakers, and canoeists use Clam Lake as a passage through the miles of scenic waterway on the way to other lakes, but its nine-mile long shoreline is densely populated with year-round and seasonal residents. 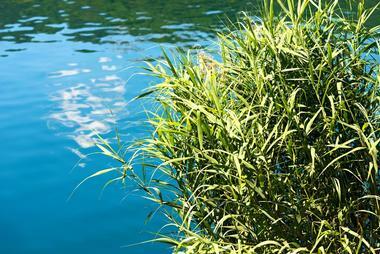 About 16 percent of the lake shoreline is protected from development. There are private and public boat ramps on both ends of the lake. Shallow marshes along the lake provide excellent cover for panfish and pike, and in deeper water anglers can expect to catch walleye, perch, bluegill, all kinds of bass, brown trout, and crappie. Ice fishing on the lake during the winter is also very popular. 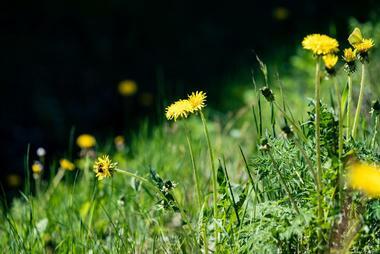 The Grass River Natural Area with seven miles of trails is located at the southeastern end of Clam Lake. Crystal Lake is located in northwestern Michigan in Benzie County in a depression about a mile from the Lake Michigan. It is connected to Lake Michigan through a small outlet stream and Betsie River. To make the stream more navigable, x a logger decided to enlarge it in 1873. As a consequence, the lake water was lowered by 20 feet and is today surrounded by sandy beaches. Fortunately, the lake is located in a deep valley so its depth is still 175 ft. Since the only town around the lake is the village of Beulah, the lake’s water is very clear and unpolluted. The village has a nice public beach, a playground, a park with pavilions, picnic tables and barbecues, tennis courts, and parking. Crystal lake is great for swimming, canoeing, water-skiing, and fishing. There are a number of fishing guides who know where to find Rock and Smallmouth Bass, Lake Trout, Brown and Rainbow Trout, and Coho Salmon. Elk Lake, a deep glacial lake reaching depths of 200 feet, is located at the end of the chain of 14 lakes in the Elk River Chain of Lake not far from Grand Traverse Bay. The lake is about eight miles long and four miles wide and is popular for all sorts of water sports and trout fishing. The best spot for finding lake trout is the deep hole in the center of the lake. The trout meat is considered extremely tasty, and fishing for trout on Elk Lake is popular year round, including through the ice. Waterskiing, tubing, wakeboarding, kayaking, sailing, and ice-boating in winter are also very popular on the lake. Elk Rapids is the only sizable village on the lake, and it provides a lake marina and other facilities such as boat rentals. Located only an hour from Milwaukee and two and a half hours from Chicago, Elkhart Lake is a 292-acre spring-fed lake in the heart of Wisconsin's Kettle Moraine State Forest, and it is one of the deepest and oldest resort lakes in the heartland. It has been attracting visitors since 1860, and some of the old resorts famous for bathing and gambling still exist to this day, though they have been appropriately updated. The lake is very popular for sailing, and there are races every Sunday. Clear and clean, the lake is ideal for swimming, kayaking, and fishing for Bluegill, Brown, Rainbow and Brook Trout, Largemouth Bass, Muskellunge, Northern Pike, and Smallmouth Bass. There is a public boat launch maintained by the Wisconsin Department of Natural Resources, as well as a small public beach. In the winter, the lake is very popular for ice fishing, cross-country skiing, and snowmobiling. 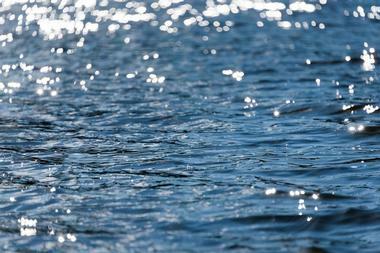 Gull Lake is a 2,030-acre glacial lake located about 11 miles from Kalamazoo in southwestern Michigan. It is about five miles long and only one mile wide. 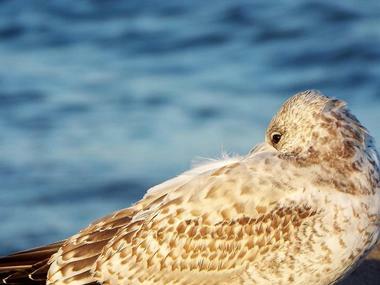 It has an 18.5-mile long shoreline that is quite populated, and most of the families are year-round residents. Gull Lake became a summer getaway for wealthy families in the late 1800s. The lake’s superb water quality is still attracting visitors who share Gull Lake with residents for fishing, water skiing, boating, canoeing, sailing, swimming, and even scuba diving. In the winter, ice skating, ice fishing, ice boating, and ice golf are common activities. There are two points for public access. Prairieville Township Park, located on the north shore, provides a boat launch ramp that can fit 70 boat trailers. A much smaller boat access on the northeast shore is located on Baseline Road. There are two marinas and a golf course on the Gull Lake shoreline. The Kellogg Biological Station and Bird Sanctuary are located on the eastern shore, both owned by Michigan State University. Higgins Lake is a natural glacial lake located five miles west from the town of Roscommon. Its maximum depth of 141 feet and average depth of 52 feet ensure crystal clear, and the azure blue waters and spectacular visibility make the lake very attractive to snorkelers. Other popular water sports on the lake include tubing, water skiing, and kneeboarding. 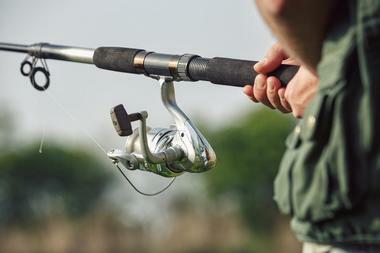 Higgins Lake offers superb fishing opportunities for northern pike, brown, lake and rainbow trout, and smallmouth bass. Ice fishing is so popular that on days with good ice conditions, you can see more than 100 ice shanties on the lake. North Higgins State Park and South Higgins State Park on two ends of the lake offer campgrounds, beaches, trails, and launch ramps. North Higgins State Park also has the Civilian Conservation Corps Museum, featuring the photographs, artifacts, and other historical elements of the Civilian Conservation Corps. South Higgins State Park is larger and has almost one mile of the lake's shoreline. It also has three major hiking, biking and cross-country skiing trails. 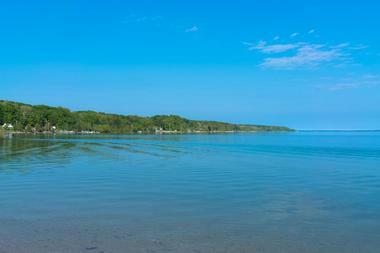 All along the lake’s 22-mile shoreline are pleasant sand beaches. You will also find three boat ramps. Lake Bellaire is a 1,793-acre natural freshwater lake in Michigan’s Lower Peninsula. Shaped like an elongated S, it has 11.5 miles long shore, with the lower half of the lake significantly widening. Its maximum depth is 95 feet and average depth is 43 feet. 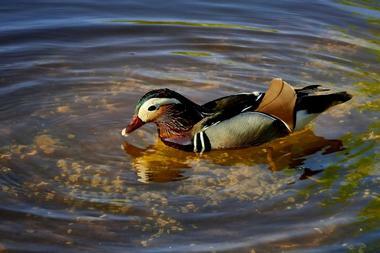 Lake Bellaire is part of the chain of 14 lakes in the Elk River Watershed Chain of Lakes. The lakes in the chain are connected through rivers and streams so that boaters can go from one to another, enjoying spectacular scenery on the way. Lake Bellaire is great for swimming, kayaking, windsurfing, waterskiing, sailing, boating, and fishing. The lake is densely populated and surrounded by a number of luxurious resorts as well as charming bed and breakfasts, inns, condo villages, and modern campgrounds. The main town on the lake is Bellaire, located on the northeast side. 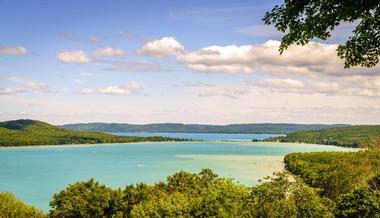 Lake Leelanau is located in Michigan’s Lower Peninsula not far from the Traverse City. It is separated by Lake Michigan and a dam, and it is connected through Leland River. It consists of the 2,950 acres North Lake Leelanau and 5,370 acres South Lake Leelanau. The two parts of the lake have different depths and temperatures, providing home to different fish species and attracting anglers looking for walleye, yellow perch, or bass. The nearby town of Leland has an annual Walleye Festival in the spring. Leland also has a marina, a number of fishing guides and charters, and a ferry that takes tourists to Manitou Islands. The lakeshores are dotted with private residencies, cottages, campgrounds, and log cabins. Lake Michigan is a 22,400 square miles lake stretched between Illinois, Wisconsin, Indiana, and Michigan. It is the largest freshwater lake in the world within one country; Lake Michigan is 307 miles long and 118 miles wide, with 1,640 miles of shoreline. There are over 80 lighthouses around the lake and its large islands. Lake Michigan is also a home to 12 million people and the destination of thousands of visitors. Lake Michigan has some of the most beautiful beaches in the country and a number of popular parks that protect the lake’s diverse environment. Sleeping Bear Dunes National Lakeshore takes about 35 miles of the lake’s eastern shoreline and offers forests, beaches, and spectacular dune formations. Indiana Dunes National Lakeshore has 25 miles of the lake’s coastline, sand dunes, rivers, swamps, wetland forests, and much more. There are miles of hiking trails all around the lake as well as the 6,500-mile scenic Great Lakes Circle Tour. Lake Michigan has enough fish for both commercial and sport fishing, and it is rich in brown trout, chinook and coho salmon, lake trout, perch, largemouth bass, rainbow trout, steelhead, smallmouth bass, and walleye. 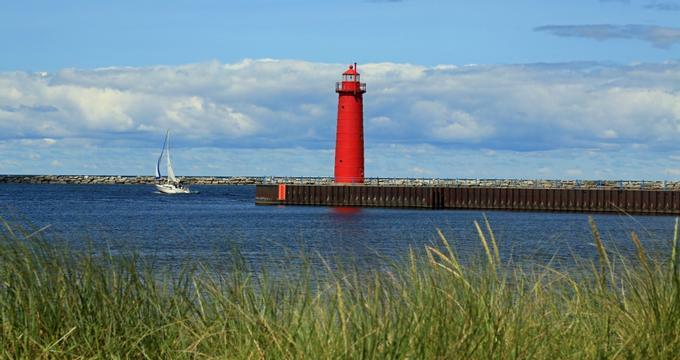 Lake Muskegon is a 4,232-acre lake on the eastern shoreline of Lake Michigan, connected to the lake via the mile-long Muskegon River. The towns of Muskegon and North Muskegon used to be industrial powerhouses in the mid-1800s. 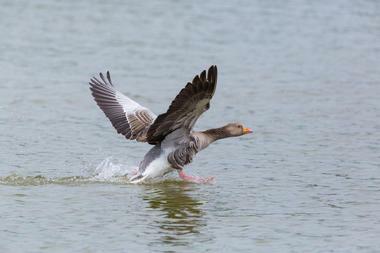 The lake and wetlands that surround it are crucial parts of the Great Lakes’ coastal wetlands. 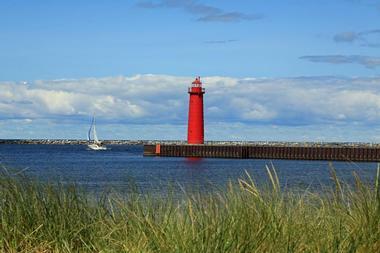 Muskegon Lake is homeport to a number of yacht clubs, and sailing on the lake is very popular. Other sports are power boating, kite-boarding, water skiing, pontooning, and paddle boating. There are 13 marinas and seven launch sites, and the lake is host to a number of sailboat races. Regattas are also held regularly in the warmer months. Fishing is a favored activity on Muskegon Lake. Anglers come for the walleye, northern pike, largemouth and smallmouth bass, crappie, bluegill, Chinook salmon, brown and lake trout, and catfish. With their white sand beaches and clear blue waters, Little Glen Lake and its big sister Big Glen Lake are among the most beautiful in the state. 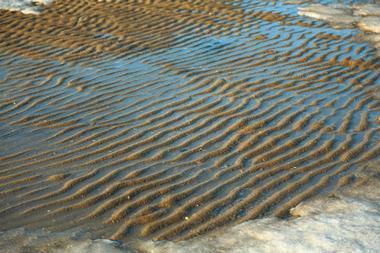 They are glacial by origin and were separated from Lake Michigan by a sandbar created over time. Little Glen Lake covers 1,415 acres, and its maximum depth is 13 feet. The Little Glen Lake is surrounded by rolling sand dunes and forests. There is a public boat launch on Little Glen Lake as well as a number of private marinas. Alligator Hill is located in the northern part of Little Glen Lake and is wonderful to explore by kayak or canoe. 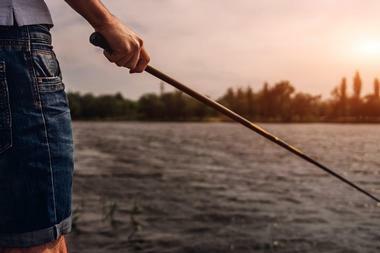 Swimming and water-skiing are also popular, but fishing is the king, especially for yellow perch, northern pike, smallmouth bass, and brown and lake trout. Long Lake is located just 15 minutes from Traverse City and is quickly developing as an upscale neighborhood, with a number of luxury homes and summer cottages on its banks. The views are spectacular, the water is crystal clear, and the bottom is sandy, perfect for kids splashing and parents swimming. The lake has plenty of fish and four small islands for exploring. South Island is home to the Grand Traverse Regional Land Conservancy, which allows public access. Another small island opened to the public is owned by the Gerald Oleson Foundation. There are private boat ramps all around the lake and two public boat ramps at Crescent Shores Boat Launch and Gilbert Park. The lake is full of bluegill, green sunfish, brown bullhead catfish, muskellunge, largemouth bass, northern pike, rock bass, pumpkinseed sunfish, smallmouth bass, yellow bullhead catfish, walleye, and yellow perch. Manistique Lakes consist of the 1,722-acre North Manistique Lake, the 10,130-acre Big Manistique Lake, the 4,001-acre South Manistique Lake, the 1,956-acre Milakokia Lake, the 311-acre Lake Ann Louise and the 1,890-acre Millecoquins Lake. The lakes are located in Michigan’s Eastern Upper Peninsula and are created by the retreating glacier at the end of the last ice age. 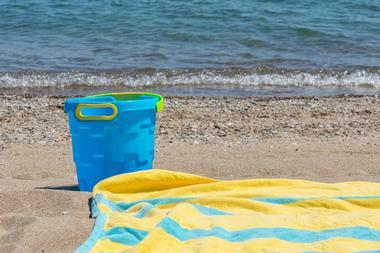 Their shorelines are mostly shallow and sandy, creating great swimming beaches for kids. Water skiing, pontooning, jet skiing, sailing, wind surfing, power-boating, and paddling are also very popular. Most of the lakes are fairly shallow. The deepest is North Manistique Lake at about 50 ft. 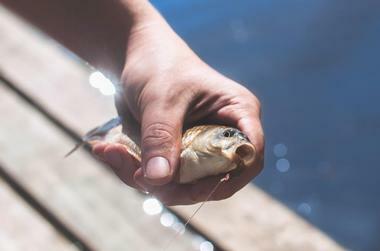 While all lakes are rich in fish, they vary in the species they have, and anglers know where to go for their favorites: white sucker, walleye, sunfish, largemouth bass, rock bass, muskellunge, northern pike, yellow perch, and smallmouth bass. Most lakes have public boat ramps. The town of Curtis, located on the south end of Big Manistique Lake, hosts a number of festivals such as Oktoberfest, Curtis Winter Carnival, Art on The Lake, and a spectacular Fourth of July celebration with extravagant fireworks over the lake. Mullett Lake, at 17,360 acres, is one of the largest lakes in Michigan. The lake has 28 miles of shoreline and was once a Native American trade route. The lake offers fun year-round, with ice fishing or snowmobiling in the winter on the 11-mile long trail, surrounded by beautiful dense forests of mostly maples, red oak, aspen white cedar, spruce, pine, and tamarac. The trail is also popular among horseback riders and hikers in the summer. On the lake’s eastern shore is Aloha State Park with 285 modern campsites, a trail, boat ramp with harbor, picnic areas, two sandy swimming beaches, horseshoe pits, a softball field and, volleyball and basketball courts. Several public boat ramps allow fishermen easy access to the spots rich in bass, smelt, trout, yellow perch, northern pike, and walleye. Paradise Lake is a 1900-acre lake in Michigan's Northwest with about 10 miles of shoreline dotted with cottages and year-round family homes. The lake became popular among tourists at the beginning of the 20th century, and there are still a few resort camps on its shores. Dense woods around the lake give the area a wild, natural look, and they are home to a number of wildlife species such as deer and wild turkeys, eagles, loons, and other birds. The lake is very popular for waterskiing, jet skiing, tubing, and swimming. Rowboats, canoes, and kayaks are available for rental all around the lake. There is a small marina at one end of the lake with public access for the boaters and basic boating necessities. Paradise Lake is tannin-stained, and it is the perfect environment for largemouth bass, pumpkinseed sunfish, northern pike, rock bass, walleye, smallmouth bass, and yellow perch. The lake is fairly shallow and is endangered by invasive species such as Eurasian milfoil and zebra mussels. Perch Lake is a lovely, quiet 40-acre lake in Michigan’s Northwest Region. 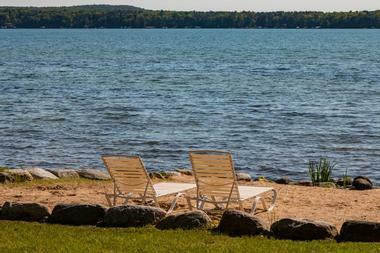 Located in Grand Traverse County, it is only about 20 miles from Traverse City. 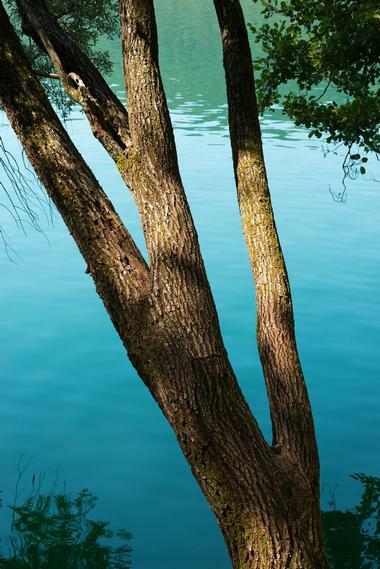 The lake’s shores are lined with mature trees and dotted with small sandy beaches, perfect for family picnics, swimming, canoeing, or exploring in a kayak. Fishing is popular year-round; there is ice fishing in the winter, and in the summer you can see fishing boats any time of the day, with anglers looking for bluegill, pike, perch, and bass. No motor boats are permitted on the lake, keeping the lake quiet and natural. Perch Lake is completely surrounded by the 330,000-acre Traverse City State Forest, a paradise for hikers, bikers, and horseback riders. The forest includes the Seven Bridges Natural Area, created around the Rapid River's charming wooden bridges. 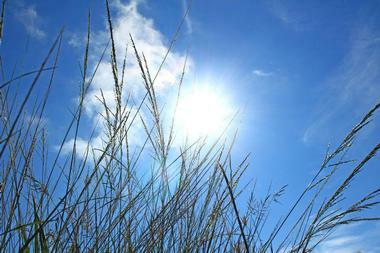 The Forest also includes the 3,300-acre Skemog Swamp Wildlife Area. Connected to Lake Michigan by a channel, Portage Lake was originally settled by workers at the local saw mill. As the business grew, many Midwestern lumber barons built luxury homes along the lake shore, and fancy resorts started cropping up. Many artesian mineral springs in the area were believed to be good for the health, adding to the attraction. Some of those resorts have been renovated and are still around. One resort had a deep-water marina for large Great Lakes steamers. There are a couple of shipwrecks at the bottom of Portage Lake attracting curious divers. The oldest sailing club on the lake was the Onekama Sailing Club, which operated from 1896 to 1910. There are two public boat launches on the lake, one owned and operated by the Michigan Department of Natural and the other owned by the Village of Onekama in town. Annual bass tournaments on the lake are very popular, and so is ice fishing in the winter. Round Lake sits between Lake Michigan and Lake Charlevoix, with Pine River connecting the two. It is considered an important natural harbor on Lake Michigan, and the Charlevoix village, established on its shore in 1871, today completely encircles the lake. The lake is today known as a resort lake, with lavish summer homes and clubs cropping up all around. East Park on the lake hosts many families on weekends, and during festivals offers a stage to musical groups and bands. The park also has public docks and a paved walkway that goes around Round Lake, taking visitors to the Charlevoix Lighthouse. Boat traffic from the Michigan Lake is significant, and plenty of fish attract anglers looking for smallmouth bass and walleye. Silver Lake is the 600-acre lake in Grand Traverse County created by retreating glaciers during the last ice age. The lake’s average depth is 23.4 feet, and the maximum depth is 96 feet. There is public boating access near the town of Grawn. The lake’s irregular shoreline is wonderful to explore in a canoe, kayak, or a sailboat. Waterskiing is also very popular, but nothing compares with the popularity of fishing, as the lake is full of perch, sunfish, bass, bluegill, pike, and walleye. The lake is surrounded by dense hardwood and pine forest and is dotted with charming small sandy beaches excellent for swimming. Spider Lake is a natural 459-acre lake in Northwest Michigan. This freshwater inland lake is exceptionally clear, and in some shallower parts where the depth is about eight feet, the bottom of the lake can be clearly seen. The lake contains a great variety of fish such as crappie, perch, pike, bluegill, and bass. While motorboats are allowed, there are some no-wake zones close to the shore and in the shallow parts of the lake. There is a public boat launch on the southwestern shore, and boat and bike rentals are available all around the lake. The maximum depth of the lake is 32 feet, and it is very pleasant for swimming and all sorts of water activities such as canoes, kayaks, rowboats, and paddleboats. Jet skiing, windsurfing, and parasailing are also very popular. Winter brings different kind of fun on the lake such as ice fishing, snow tubing, snowmobiling, sledding, snow shoeing, snowboarding, cross-country skiing, and much more. 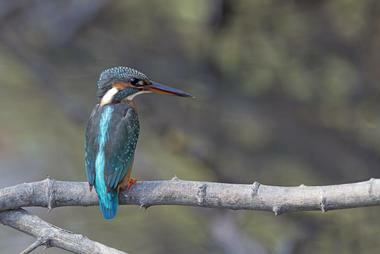 Dense forests around the lake are home to a variety of wildlife. Torch Lake is beautiful large inland lake in the northwest lower peninsula of Michigan, about 15 minutes from Charlevoix and half hour from Traverse City. It is Michigan's longest lake at 18 miles and second largest at 18,770 acres. The lake is of glacial origin and is an unusual, very beautiful turquoise color. Torch Lake is part of the Lower Chain of Lakes, one of 14. Its maximum depth is 300 feet. Its significant size makes it wonderful for fast rides on a powerboat. The Torch River has several public boat ramps. Sailing, kayaking, windsurfing, canoeing, jet skiing, and water skiing are very popular. There are sailing and windsurfing lessons and rentals for boats for those who did not bring their own. The lake is also great for swimming – a popular swimming spot is the two-mile long white sand bar at the south end. Fishing on the lake is superb, and anglers come for lake trout, brown trout, rainbow trout, yellow perch, rock bass, smallmouth bass, whitefish, muskellunge, and ciscoes. Upper Herring Lake is a natural freshwater lake near Traverse City in the northwestern end of the Lower Peninsula. Together with Lower Herring Lake, which is located to the west of Upper Herring Lake, the lakes cover 1,022 acres. The two lakes are connected through Herring Creek. Fishing in the Upper Herring Lake is famous for its population of brown trout and lake trout, as well as largemouth bass, bluegill, smallmouth bass, walleye, northern pike, rock bass, and crappie. The area is known for the winter sports such as ice fishing, cross-country skiing, snowmobiling, and downhill skiing, as well as hiking, biking, bird watching and nature photography in the summer. Upper Herring Lake is located within the township of Blaine.